For any person living or moving to a new city, it is important to learn regarding the location of the different courts as it helps you get acquainted with the legal system. Generally, the courts play an important role in the city which is established to adjudicate the legal disputes between the legal parties. Courts are not only a place to fight for big cases, but you will have to pay traffic offence fines and other fines at court. It is essential for a citizen to know their district court location in order to avoid any kind of major problems. 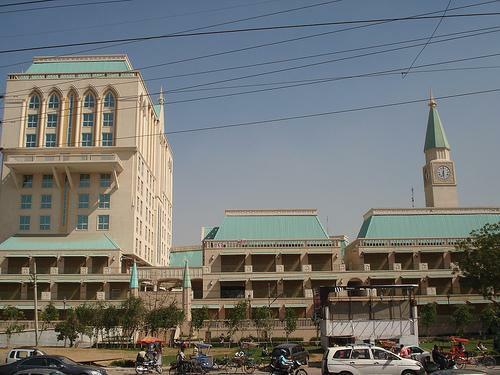 The district court in Gurugram is considered to be the highest authority that aims to administer justice as per the various legislation and statutes. Initially,the Haryana Government has established two kinds of courts under the Gurugram Sessions Divisions (i.e) civil & criminal. The District Court of Gurugram took the overall charge of the administration of the city. In the civil side, there were around eleven courts of Subordinate judges that include one Senior Sub Judge, two Sub-judges 1st class, three Sub-judges and so on. The employees recruited in the court premises in the city include Court Manager, Chief Administrative Officer, Stenographer, Bailiff, Driver, Process Server, Record-lifter and much more. Each of the employees is responsible to perform their duties and act according to the rule of the court. The working hours of the Civil Courts in Gurugram are from 10.00 AM to 4.00 PM with an interval for lunch from 1.00 PM to 1.30 PM. Further, the court authorities have the right to change the working hours suiting to the convenience of the litigating public. It houses several different courts within the court complex. The court also has a well-developed website where surfers can visit and download different legal documentation enabling them get a better perspective linked to the legal approaches. Moreover, the district court online support helps to save the time and money to a great extent. At present, people can also purchase the stamp papers online and complete the legal process in a quick manner. Below are some of the courts facilities offered at the Gurugram court complex. The court complex houses a consumer court which can be used by any person who has a case of complain against products of services offered by different companies. Today, India is enjoying high quality services with the possibility to monitor services offered by the companies. This means the consumer is capable of launching complaints linked to the product quality, weight and the company’s response towards dealing with the consumer. In this type of court, the women are able to file cases with proper feminine representation. Domestic violence, dowry and several other feminine related cases can be launched in this court helping the women get proper legal representation. The traffic offenders are required to pay a certain amount of money for breaking traffic rules. It is important to know that the traffic court acts according to the legal law and all the cases are usually well documented with digital evidence. People who are planning to come out of the case can submit the legal evidence with proof to the traffic offense court. Apart from this, there are number of court rooms in the court complex catering to different cases such as land sales, registration and criminal courts. Visiting the Gurugram Court Complex will enable the people to know more about the different courts in the city. You will also find a large number of attorneys and lawyers specializing in different cases and you can consult and get proper legal guidance. Having a qualified legal representative is vital as it will help you getting in-depth information linked to the services thus allowing you to make more informed decisions while visiting the different courts in the Gurugram District court complex.